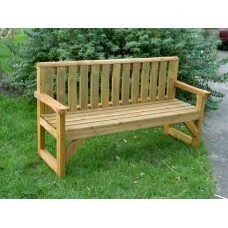 Our benches/seats are built to last! 4ft, 5ft, 6ft and Davenport Seats available. Constructed using tanalised pressure treated timber, so protected against rot. Can be painted at home if desired. Brooklyn ChairPRICE DOES NOT INCLUDE DELIVERY. Local delivery available. 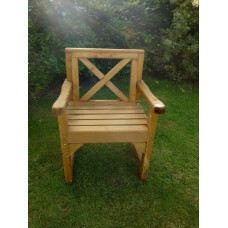 If you live further afield..
4ft Park Seat/Bench PRICE DOES NOT INCLUDE DELIVERY. Local delivery available. If you live fur..